Caption: Along the Pilgrims Way, Wrotham by Frederick Gore RA, undated. Gore studied at the Ruskin School, Oxford and the Slade. 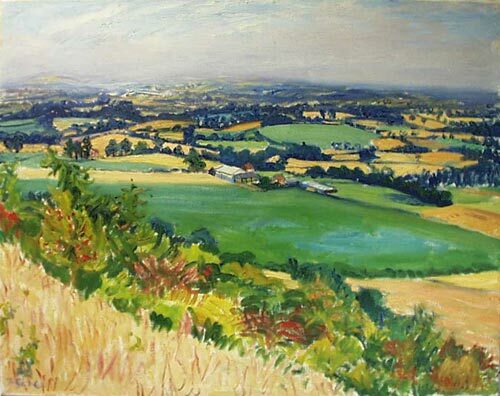 This Kent landscape is a view from the ancient Pilgrim`s Way between Winchester and Canterbury.